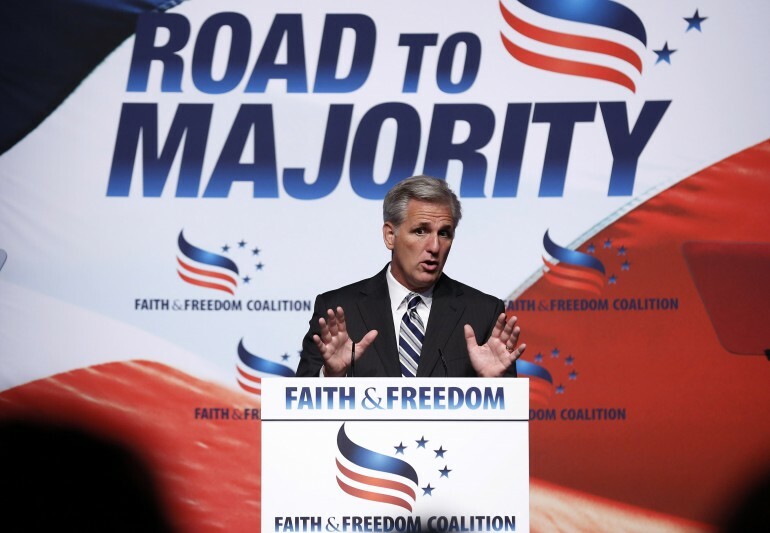 Immigration Reform 2014: Will New House Majority Leader Kevin McCarthy Schedule A Vote In 2014? House Republicans elected Kevin McCarthy as their new majority leader in a closed-door vote on Friday two weeks after Virginia representative and current majority leader Eric Cantor lost to Tea Party challenger Dave Brat in a race in which Cantor’s stance on immigration policy served as a central issue in Brat’s campaign. McCarthy, who represents an agricultural district around Bakersfield, California which is over a third Latino -- and where farmers often rely on undocumented immigrants for a labor supply -- has said he supports a path to legal status for many undocumented. And as the new majority leader, one of his duties will include scheduling votes on legislation. The New York Times noted in an article about McCarthy’s Bakersfield district that immigrant-rights activists -- who after identifying him as a potentially “vulnerable” House Republican leader on the issue due to the demographic makeup of his constituency -- have for almost a year staged protests at his offices, including one occurring last August which brought an estimated 1,500 activists to town. McCarthy, the paper writes, complained about the protests earlier this year, saying they made him less sympathetic to the cause.